Inspection of Hail Damage to Insured Boats | The Voss Law Firm, P.C. ?Can’t I just tell the insurance company how much it will cost me to fix the hail damage to my boat myself? 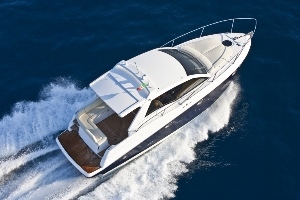 There are many steps to settling a claim for hail damage to a boat or watercraft. As one of these steps, you will need to have an inspection of the damage to your boat. Your insurance company will appoint a surveyor to assess your claim, and he or she will take a look at your boat and compare the damage to what you have reported. The surveyor assigned will play a major role in your claim, and he or she should be independent and offer an unbiased opinion to your insurance company. The surveyor will likely start by inspecting the hail damage to your boat and comparing it to the damage that you reported. He or she will try to determine the cause and extent of the damage, as well as what should be done about it. This might include deciding if repairs are possible, what kinds of parts are needed, and what it might take to repair the damage. When the inspection is completed, the surveyor will send the report to your insurance company, and the insurance company will then begin to determine how those losses are covered by your policy and what your claim might be worth. In some cases, a loss adjuster may also be involved in your claim, especially if your claim is large or becomes complicated. It is the loss adjuster’s job to help decide what losses and costs your hail insurance company is responsible for and to verify estimates when the numbers vary significantly between contractors or repair shops. The surveyor may act as the loss adjuster, or a separate person may be appointed. Loss adjusters should also be independent and provide an unbiased opinion, but it is also important to understand the role of loss adjusters and how that could affect your hail insurance claim. Keep in mind that it can be easy to overlook some hail damage to boats, and you should seek an assessment from a contractor you trust if you have any concerns about the insurance company’s inspection or the real costs to repair the damage you sustained. If you are having trouble settling an insurance claim for hail damage to your boat or marine business, don’t wait any longer to get informed and get help. Download a free copy of our book, Your Basic Guide to Marine Insurance, or call our experienced insurance claim attorneys today at 1-888-614-7730.